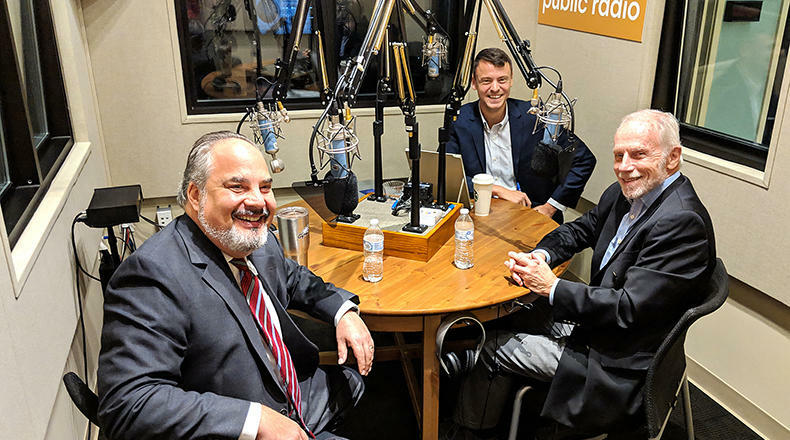 Gavin Jackson with Andy Shain (l) and Charles Bierbauer (r) in the South Carolina Public Radio studios on Monday, October 29. With less than two weeks to go before voters head to the polls during midterm elections, Republican Gov. Henry McMaster and Democratic state Rep. James Smith met for their second and final debate Thursday at Greenville Technical College. The two fielded questions about how they run their own personal bsuinesses to how the state should use its lottery earnings if the recent Mega Millions Jackpot winner(s) choose the lump sum option.